2 Responses to Brrr…The December Issue is Here! The 4 year old and I read it cover to cover tonight. We are really enjoying it! I wonder…do you have a program to make subscriptions accessible for low income families? Having stories and activities shared with a parent is so important to a child’s development. I’m hoping the answer is yes, that you have a way of ensuring all kids who want Owl magazine’s offering can enjoy the thrill of it’s arrival in their mailbox. 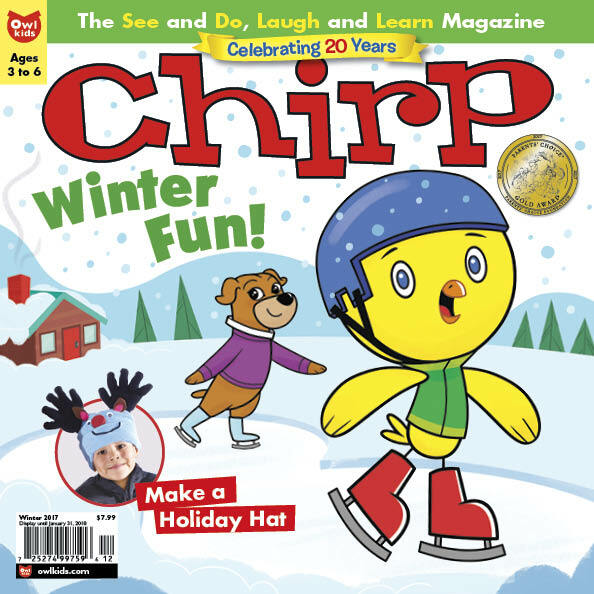 So glad to hear that you enjoyed the December issue of Chirp! To answer your question, no, we do not have a program directed toward low-income families directly, however, we do donate magazines to many communities and they are available in libraries so that everyone has access to them. We also offer a special price through our school promotion program and by participating, teachers receive resources for their classroom. http://www.owlkids.com/reading-is-fun.